Get a Mac server online today! We host Mac computers in our data centers. We have thousands of Macs currently in our data centers using our custom engineered cabinets. 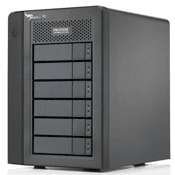 This service is also known as Mac Pro hosting or Mac Pro cloud hosting. Save 10% by paying annually! To ship your Mac Pro in for colocation, simply order the colocation package of your choice (Lite or Pro). We’ll send setup instructions and shipping directions. No need to ship the power cable or any adapters, but we recommend using the original box. We’ll store it and return it with the Mac Pro when it is eventually shipped back to you. Purchase a new or used Mac Pro from Apple or an online vendor and have it shipped directly to us. We’ll configure it as needed and you’ll be online normally the same day we receive the Mac Pro. We’ll also store the original packaging and contents along with any original parts. When it’s time to ship the Mac Pro to you, we’ll box it up in all the original packaging if it was included.